Ten years ago, the national oil and gas company, which has received the name of KazMunayGas, was established in Kazakhstan. It has united all large state assets in the sphere of exploration, production, processing and transportation of hydrocarbon raw materials. Today KMG participates in all major development projects in this branch of industry, including shelf, oil and gas production, processing and petrochemistry and represents the interests of the state in huge oil and gas projects. The top management of KazMunayGas has no doubt that by 2015 the company will enter the world’s 30 largest oil and gas companies by providing the country’s energy security. 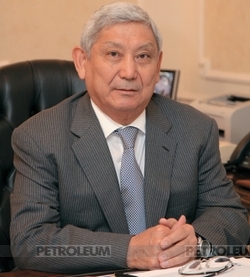 Lyazzat Kiinov, chairman of the board of JSC NC KazMunayGas, tells about the company’s plans to Petroleum. Lyazzat Ketebayevich, each anniversary is a time to summarize the results. How can you characterize a way gone by the national company for these years? Since its foundation, the activity of KazMunayGas renders a determining influence on the dynamics of the industry’s indices. Only for the first year of its work, 2002, the company achieved a gain of assets worth KZT100 billion, while its consolidated assets comprised KZT762 billion. For a short time we succeeded to accumulate a significant part of attractive assets in the sector of exploration and production due to the amendments to the legislation adopted in the middle of the 2000s that gave the national company a priority right to the repurchase of all alienated shares in oil projects. It was in 2005 when we entered as a shareholder PetroKazakhstan Inc., the North-Caspian project and then, other projects. These actions and later, doubling of the state’s share in the project of such scale as Kashagan, have strengthened the republic’s positions in the international economic space, have become a “locomotive” of the ideology of the commitment to the future, and finally, has allowed Kazakhstan to enter the higher level of mutual relations with other countries the companies of which are engaged in this project. 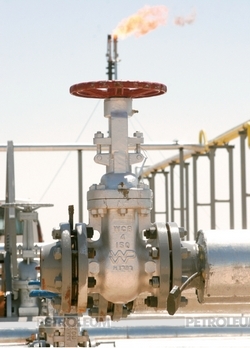 Obtaining of a 50 % interest in all Caspian projects has ensured the company a dominating role in the Kazakhstan shelf. It is expected the Kashagan’s commercial oil producion. Next in turn other shelf fields. 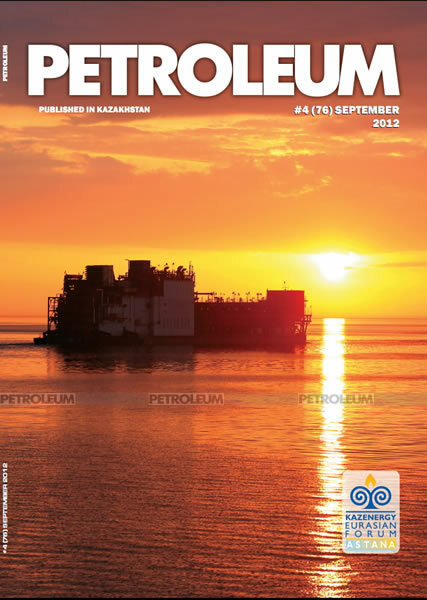 All this opens a new page in the history of development of the country’s oil and gas industry. We shall coninue to increase our resources, production and to enter new projects and sites. We should become equal among the strong and to compete with the large foreign companies. To accomplish this, we have defined new directions of exploration. The priority of blocks, where exploraion will start, has been established with the volume of operations on hese areas to be considered and approved; so the work will be commenced soon. Whether the delay in the development of oil and gas resources in he Caspian Sea shelf, including the ame Kashagan, has prevented the embodiment of the strategy of growth of KazMunayGas? Introduction of amendments nto any program in any country worldwide is a quite acceptable process. To foresee and correct drawbacks in time is the main task at he stage of preparation of any project, and furthermore, of such scale as North-Caspian. The situation is ully under control of the government. Also, I hope that at the end of this and in the middle of the next year the project participants will announce the production of the first Kashagan oil. 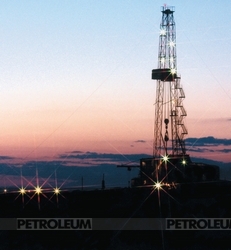 Besides, we are active in the functioning offshore blocks located in the Kazakhstan sector of the Caspian Sea. These are the projects N, Zhemchuzhina, Zhambyl and Satpayev. There are already positive results here. For example, the oil and gas prospects of offshore blocks Zhemchuzhina and N have been revealed and preparatory works for exploration drilling are under way on the projects Zhambyl and Satpayev. In this year and later the subsoil use rights will be obtained additionally to several new projects. In order to provide its own drilling capacities, KMG initiated the construction of the first Kazakhstan self-elevating drilling unit. It is planned to trust the construction of this drilling unit to the Kazakhstan contractor. So, the work in this direction is being done in full conformity with the adjusted schedule. According to your data, what volume of oil is planned to produce at Kashagan at the initial stage? By the start of production, it is planned to produce about 75 000 barrels/day. Within the first phase of this field’s development, it is planned to produce 350 000 barrels of oil/day and probably to achieve a production level of 450 000 barrels/day. Whether KMG will attract an external loan if the decision will be taken to increase the cost on Phase I of the project for Kashagan’s development about which says the consortium of the companies developers? Indeed, the consortium NCOC has addressed to the Ministry of Oil and Gas of the R? with a request to allow it to increase the budget on the Kashagan’s pilot commercial development from earlier $38.6 billion to $46.3 billion. In case of increase in the cost of the project,we are planning to attract a loan in the amount corresponding to our share in the project, from the part of contractors. This issue is part of a negotiating process between the authorized body and the project participants who have submitted the application for increasing the budget for the pilot commercial development. In its turn, it is supposed that the authorized body will not approve this increase without appropriate financing for the benefit of KazMunayGas. It is supposed that in 20122013 NCOC will finance a share of KMG’s investments in the Kashagan project worth $986 million. How does KMG participate in the strategy for the development of other huge oil and gas project – Karachaganak – given KMG’s entry this project?